It fits my son well and he laughs each time he puts it on. He is five, wears a size 6 in boys. The whole thing inflated and stayed inflated. I read the reviews and took they into consideration, and thought it would still work. I'm glad I went with my gut. I would purchase again. 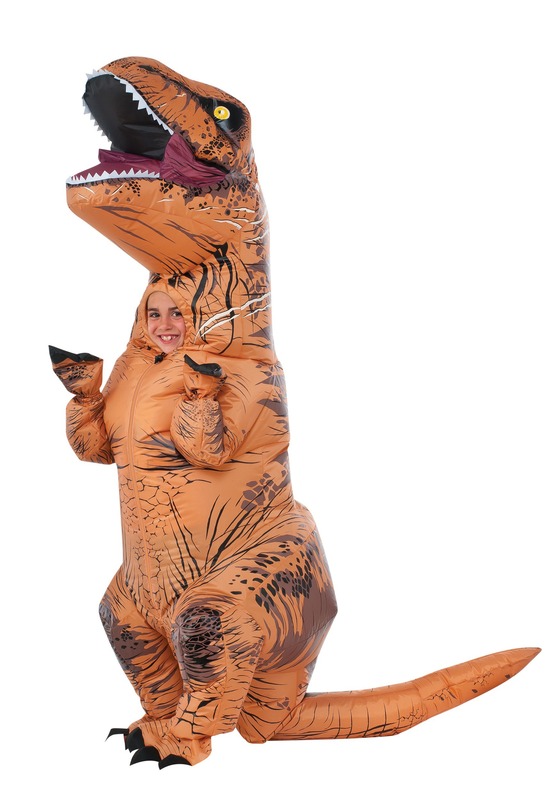 My 9 year old son was in love with this costume but it was way too small. His arms and legs were too long for the costume. His head was too big for the hood. Probably need to get a teen size. Do not recommend for 8 years and up. My son is 9 but wears a 12/14 and this costume didn't fit him at all. He was so heartbroken. Great costume but too small! This costume is for a small child. It looks like it would fit a youth--but it does not. My 12 year old couldn't even fit his head in the hole. But the adult size would be too big. Sadly, I have to return it...though it appears now it is sold out, so hopefully someone will get it! I bought this for my grandson for Halloween. The zipper broke the first time he put it on. Since it was only a few days until Halloween, a replacement couldn’t make it to him in time. He was one disappointed little man. ?? Very poorly made. I'm so sorry to hear that the zipper broke like that! Did you happen to reach out to customer service for the zipper issue? We would love to help out in situations such as that! I bought this for my 12 year old son and it was way too small. The description is totally misleading. When I received the costume it said it was for ages 5-7. The chart says up to 58". My son is not 58 and it didn't fit him.